Saturday for the presentation I was wearing Ysabela’s black boots. I only have brown ones, so I wanted a pair to match my black pants. If you remember, Nick was at our presentation. Nick and I both smoke, and we needed a pack, so we walked all around to find a store. 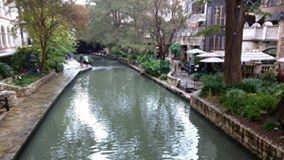 By the time we found one that sold cigarettes, we had walked the lower section of the River Walk. 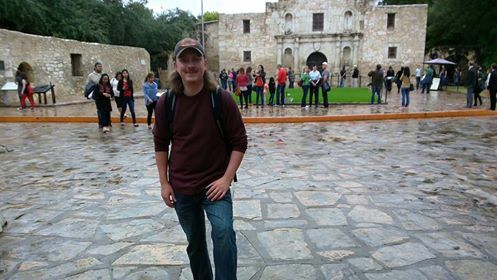 Ysabela’s boots were killing my old feet, but Nick still managed to convince me to walk to the Alamo. I’m glad I got to see everything. If I hadn’t gone, I would have regretted it once I got home. Nick is such a gentleman. He helped take pictures and let me rest when I thought my feet would fall off! If I had been thinking, I would have brought my tennis shoes for the afternoon; I just didn’t figure I’d walk for what seemed like a hundred miles after the presentation! Nick and I made it to the Alamo!